All of this was the work of a true apostle of what Greil Marcus likes to call Old Weird America named Harry Smith. Insofar as you could say that Smith was anything in particular he was an experimental filmmaker, but what came to matter to posterity was this: He had an absolutely enormous collection of old 78 RMP records, and convinced Folkways to re-release a large selection of them. The Anthology became something like the Bible of the folk revival; it may be enough to say that Bob Dylan wouldn't have been possible without it, as I wrote some years ago. Smith and Folkways assumed that these recordings -- made largely in the 1920s -- were out of copyright, but many of them weren't. They also assumed that the musicians were mostly dead, which many of them weren't either. 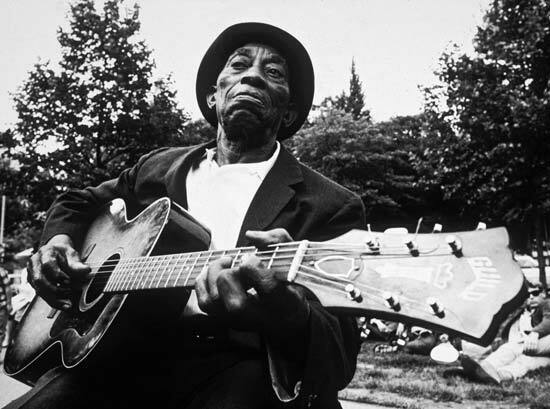 Clarence Ashley didn't die until 1967, just a few months after the guitarist and singer Mississippi John Hurt, who for years was known almost exclusively through the two astonishing performances Smith chose for his Anthology: "Frankie" and "Spike Driver Blues." Hurt had recorded only a few other songs, one of which was called "Avalon Blues." Maps made in the 1960s didn't show a town named Avalon in Mississippi, but a lover of the Delta blues named Tom Hoskins found an old map with Avalon on it, traveled there, and asked locals whether they knew a man named John Hurt. They did. And so for the the last few years of his life a dirt-poor farmer became a famous man, touring college campuses and playing his old songs to rapturous crowds. It was all so fragile, this cultural legacy. How much of it would have survived if Harry Smith had not been so devoted a collector, or if Tom Hoskins hadn't thought to look through outdated maps of Mississippi? One of the other geniuses rediscovered in the 1960s, Skip James -- as wild and dangerous as John Hurt was gentle -- said during a 1967 concert, "It's a privilege and an honor and a courtesy at this time and at this age to be able to confront you with something that may perhaps go down in your hearing and may be in history after I'm gone." 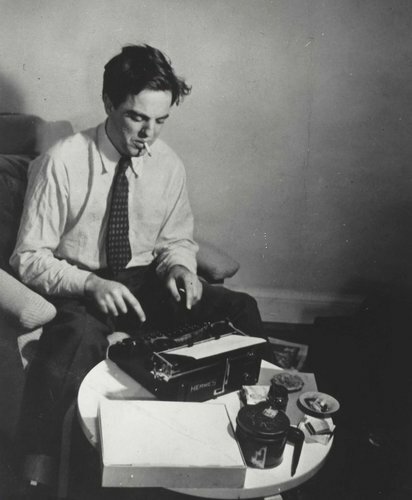 No one was more aware of this fragility, and more determined to preserve what was so easily lost, than Alan Lomax (1915-2002). Even as old and beautiful folk musical traditions persisted in America, Lomax knew that they wouldn't persist forever, and for years and years traveled tirelessly, especially throughout the South, lugging every technology of preservation he could think of: tape recorders, cameras, video cameras, notebooks. He didn't want to leave these matters to chance -- to what Harry Smith happened to like enough to collect, or what fascinated a blues-lover enough to make him pore through old maps. He wanted to record everything, to make what he called a "global jukebox" that anyone and everyone could use. A decade after his death technology has finally caught up to Lomax's imagination. Just as he dreamed, his vast archive -- some 5,000 hours of sound recordings, 400,000 feet of film, 3,000 videotapes, 5,000 photographs and piles of manuscripts, much of it tucked away in forgotten or inaccessible corners -- is being digitized so that the collection can be accessed online. About 17,000 music tracks will be available for free streaming by the end of February, and later some of that music may be for sale as CDs or digital downloads. It's an astonishing haul. People have known for decades that Lomax was maniacal, obsessive, and relentless, but it's only now that everyone can discover the real scope, and real import, of his achievement. Up to this point Lomax has been known, by the general non-musicological public, largely for his great "finds": Mississippi Fred McDowell was one of "his," as John Hurt was the best-known "discovery" of Tom Hoskins. I use the scare-quotes because such phrases tend to suggest that great (largely black) artists belong in some weird way to the (largely white) researchers who track them down. The impresario is a romantic figure for many. That this music doesn't belong to anyone but the individuals and communities that made it can be more readily understand when we confront the enormous archive that the American Folklife Center will be making available to the public. In this great collection -- not so fragile any more, though many of the practitioners and practices have passed away -- old ways of musical life emerge, beautifully, for us, and Alan Lomax recedes into the background. Which is just the way he (and Harry Smith, and Tom Hoskins) would have wanted it.